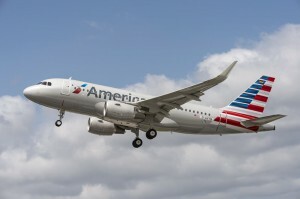 WILLEMSTAD - Curaçao Tourist Board (CTB), Curaçao Airport Partners (CAP), Curaçao Airport Holding (CAH) and Curaçao Hospitality and Tourism Association (CHATA) are pleased to announce a 3rd daily frequency of American Airlines to Curaçao during the winter season 2018 -2019. American Airlines will add a 3rd daily flight from Miami to Curaçao starting December 19, 2018. The new frequency will go on sale starting May 14th 2018. Currently American Airlines operates 2 flights per day to Curaçao, meaning that as of this coming winter season; Curaçao International Airport will have a total of 3 daily flights from Miami to Curaçao. With this announcement, passengers now have more options to fly to their favorite Caribbean destination, Curaçao. We look forward to welcoming more visitors from the United States of America.